I think it’s time for me to express my thoughts on the recent remarks made for the 6th Kuala Lumpur Fashion Week. 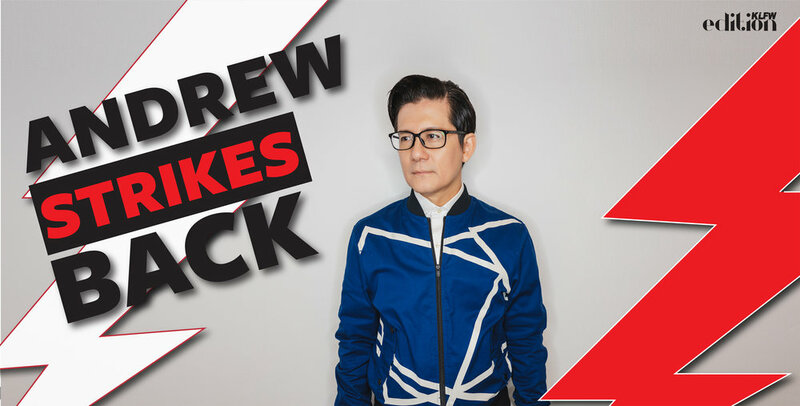 I spent a lot of time reviewing the articles and listening to podcasts revolving around KLFW 2018, and needless to say there were some great responses! Yet, somehow, there has been some articles and remarks that have been made that have caused me to realise it’s time I talk about the issues people don’t see or think they see when attending KLFW. I have been lying in wait, expecting a member of the media to call me and ask of me my thoughts on the issues that have been brought up regarding the event, but here I am: two months later and still nothing. I’ve seen mentions of people saying that Kuala Lumpur Fashion Week hasn’t made an impact enough, even through being here six years and doing our best in representing the fashion industry. We don’t normally shout out loud about ourselves and prefer to remain within the fashion industry and community -- expressing support when needed. With the limited research conducted by some people, they have yet to realise that some Kuala Lumpur Fashion Week designers have had the chance to showcase not only in the ASEAN region, where Malaysia remains one of the respected fashion communities, but reaching outward to the various fashion capitals in the world! A-Jane and Cassey Gan recently showcased in London Fashion Week; New York saw the likes of Fiziwoo, Rizman Ruzaini, and Fazbulous, while Paris witnessed SeanSheila; and Busan Fashion Week recently had MAGLifestyle on their runway. We have also helped designers expand their businesses by awarding them with international business enhancement programmes, such as SuperSunday who was given the chance to travel to Milan for the programme. Similarly, Kit Woo was awarded the same prize, but with a programme in Paris. The fashion industry in Malaysia is continuously growing, marking itself internationally in all the fashion communities we can get our hands on, and it is disrespectful to put those efforts aside to say we’re still brand new and aren’t trying hard enough. 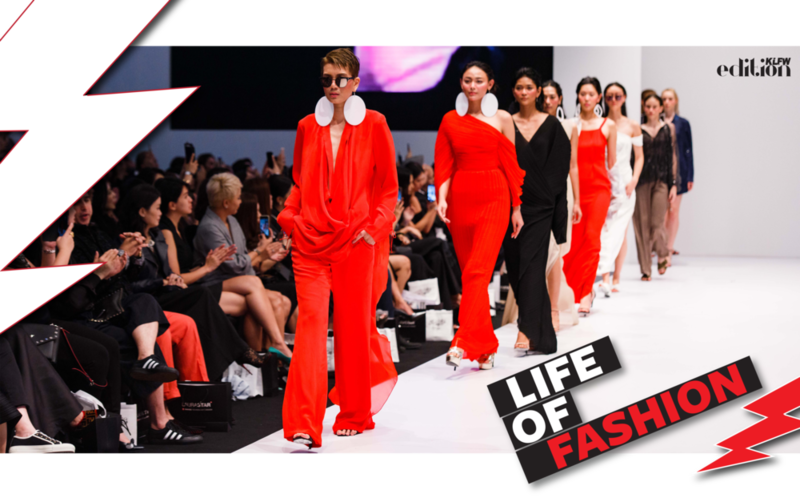 KLFW 2018 saw an overwhelming crowd of people, and it was my pride and joy to witness just how far we have reached to the Malaysian community. There were people standing in the levels above, peeking down below for every fashion show -- it was truly a blessing to see. Yet there were complaints that we did not manage our seating and the hall was overcrowded. If one has attended international fashion weeks, then you would know that the ones that are most renowned has seen celebrities, influencers, and socialites alike getting dressed in the backseat of a car between fashion shows. Such is the life of the fashion community! If only Malaysia is exposed enough to these shows, would they notice that the rush and the crowd is part of the hussle of a Fashion Week. This year, KLFW also fell prey to accusations that we’ve surrounded ourselves with celebrities and hype, and by doing so have lost ourselves in the process. Let me be clear in making you understand the situation and relationship between our event and the designers: Kuala Lumpur Fashion Week does not invite guests to attend shows. Designers are given the opportunity to invite any guests as they please. This involves the likes of celebrities, who happen to be some of the biggest customers of each brand. As the public, you shouldn’t be allowed to judge because as supporters of the brand they are entitled to their invitation. In support of the designers, celebrities are dressed by their favourite designers. Even then, the followings of these celebrities on their own social media’s are astounding and gives designers the publicity they need for the Malaysian public to view it and at least be aware that our Malaysian brands are just as up to standard as many other fashion brands. This in turn can actually bring back sales for the designers. The issue that I felt was unprofessional at most was the audacity of people to call the platform out for not instilling a see-now-buy-now approach. Our growing generation has seen a need for Fast Fashion, something that the people in our fashion community are not ready for. You can insult us all you like, but I would much prefer if you read up facts that show even our international communities and fashion capitals are not ready. A See-now-buy-now approach is costly, and often requires collections to stay in a storage space for long periods of times, without actually knowing which item will sell more than the other. At least with a runway showcase, it gives the designer the ability to review which designs made the most impact -- rather than having to order textile way in advance and consult buyers on what items are suited to the retail line. In the end, it all comes down to trying to avoid the risk of unsold items. You can check out the article addressing this on the renowned Business of Fashion here. Even then, our Western counterparts have access and resources to instill the approach which indefinitely proves we cannot compare Asian standards to that parr as of now. The issue that is most commonly faced by designers with regard to the see-now-buy-now approach is comparing our economy of scale to that of international brands. The community in Malaysia is limited to our country, and so our economy of scale is small. If you compare this to international brands who have a large economy of scale, a huge production of each collection is easy because it’s shipped out to a variety of other retail stores and countries -- a privilege we have not yet achieved. Designers can’t incur that kind of costs without being certain that their clothes will sell. All in all, it’s a logistical challenge. Although as a platform we do not set trade meetings for our designers, our guests consist of not only media, celebrities, and loyal customers of each brand; but also the fashion buyers and traders in Malaysia. We maintain links and connections to retail stores and online stores such as isetan, Parkson, FashionValet, Zalora, Lazada, Shopee, and Robinsons among many others. By pooling designers together with media and fashion buyers alike, we’re creating a network for designers to have the means of contacting this individuals at their fingertips. I have been dying to express these arguments against the negative posts that I’ve received about KLFW 2018, and it feels amazing to finally get this off my chest. I’ve heard radio station discuss a solo show and criticise it from the perspective of a shared slot show, getting their facts wrong from the start. I’ve seen newspaper report discuss trade meetings without actually asking our team for the true facts on what goes on behind the scenes. I appreciate the constructive comments that we received and although there was a few misinterpretations during KLFW, I take some of them positively. Your honesty and openness in talking about this shows that nationally, Fashion is still a part of our society. It’s the radio silent moments that mean that people stopped caring -- and I appreciate the buzz that showed the passion that was ignited through KLFW. I never would’ve thought to clarify and correct misconceptions publicly, let alone be the one to actively write it -- but in doing so I would like to say that I am still proud of the Malaysian Fashion Community and how far we’ve come, especially seeing that we are a respected Fashion Industry in ASEAN. Despite the misjudgement, I truly believe we’ve made it so far and I don’t think I would like to have it any other way. Malaysia for the world!